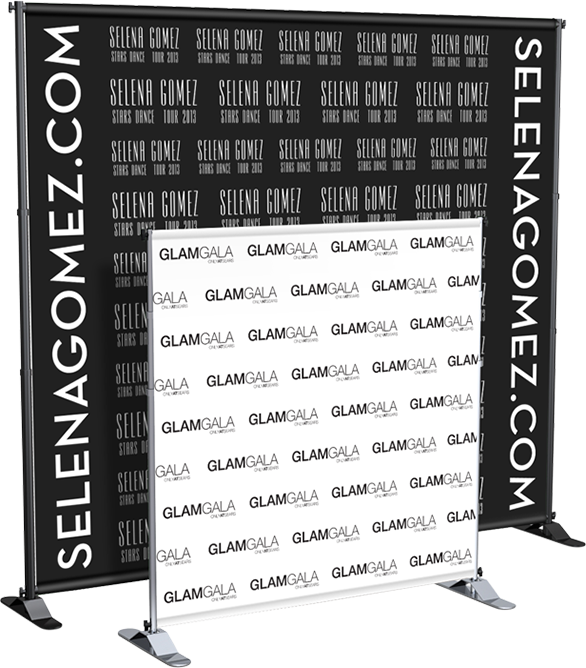 Max Press wall also known as “step & repeat” displays are ideal as background for wedding reception, trade show or special events. This is fully adjustable from top to bottom and side to side. Vertical and horizontal telescope and lock in to a position at a maximum 96”W x 96”H but can be adjusted to various sizes. The frame is constructed of Aluminum telescopic poles that enable a wide range of width and height combinations. Max press wall graphics can be printed on fabric or vinyl banner. Max press wall has sturdy, no-slide footers and an easy-to-use connection method making assembly a one-person job that takes minutes. Its simplicity makes it perfect for a wide range of venues and purposes. Padded carrying is included with the Max press wall ensuring convenient storage and easy transportation. Light and adjustable Max press wall offers versatile decor. Telescopic height 37”H - 96”H & 48”W - 96”W. Max press walls graphic is custom printed on dye-sublimated stretch fabric or vinyl banner for an eye-popping, high-resolution finish. 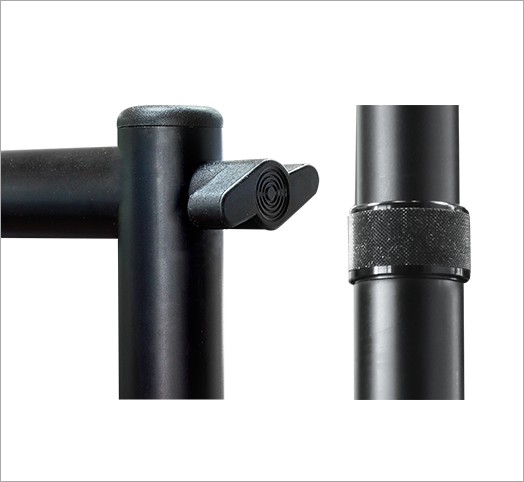 It slides onto the frame via pole pockets (think curtain rod) along the top and bottom for a smooth, professional finish. 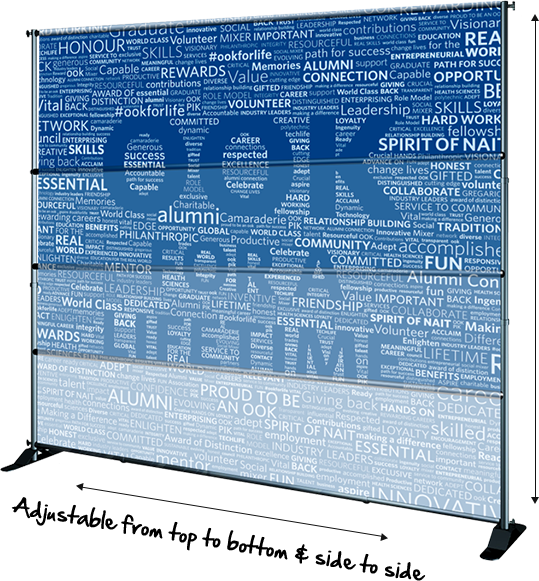 Increase advertising space with double side graphcis on Max press wall displays, which allows your message/advertising to be seen from both sides. 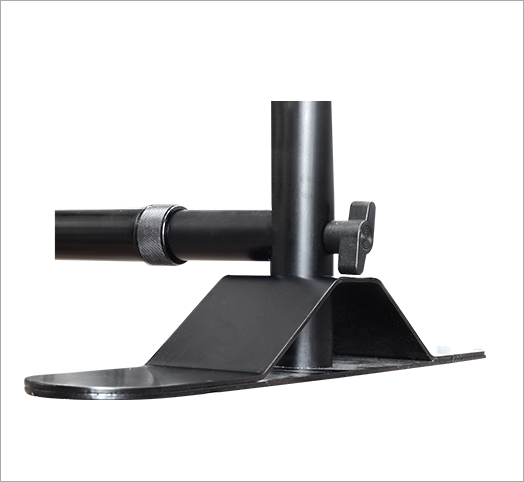 3” x 17” sturdy steel bridge support base. 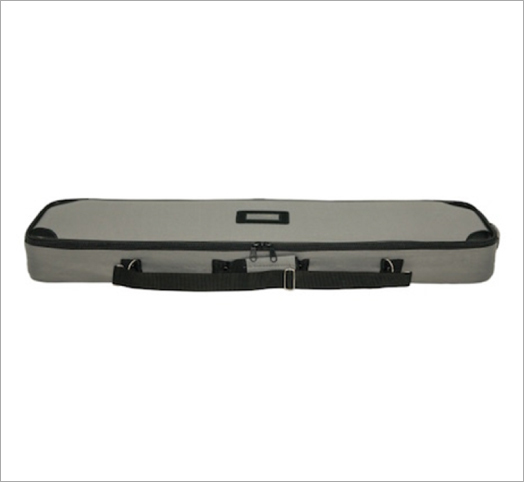 Max press wall comes with padded carrying case for easy transport. Max Press Wall’s telescopic horizontal and vertical poles allows for custom sizes.